USDAA is excited to announce two new additions to the IFCS Team USA roster! We welcome aboard Tracy Sklenar, as the team’s new Coach and Monique Plinck as the new team Manager. 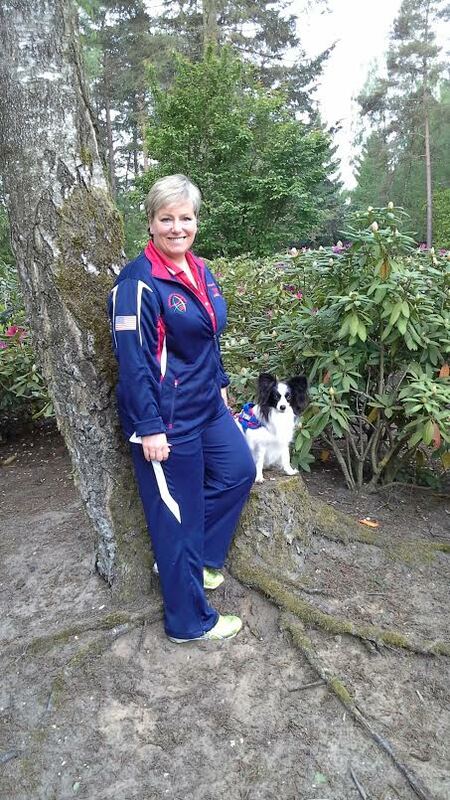 Tracy loves USDAA competition and it has been the primary venue for her entire agility career. 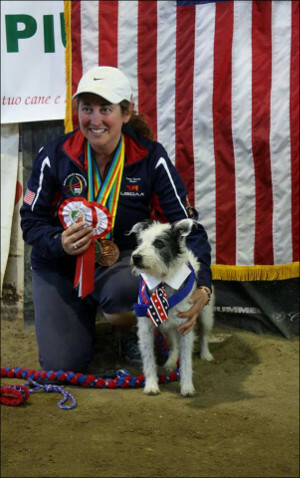 She and her dogs have won titles and placements at regionals, Cynosport and she and Export were honored to represent the USA at the IFCS World Agility Championships in 2015. Monique Plinck has over 20 years of experience in agility competition. She took her very first class with her Rottweiler, Bianca who was “brilliantly smart with a ton of drive and zero impulse control. ” She has competed with multiple dogs at Cynosport and has twice been a member of the IFCS world team. Monique recently left her full-time career to teach agility full-time at Ridgeland Farm in Middlefield, CT: ”Transitioning from a part-time business to teaching full-time has been a fantastic decision and one that affords me time to devote to this years IFCS Team as Manager. Hosting seminars, camps and workshops, logistics and communication are my thing.” Due to an injury Rachel Sanders will run her four-year old Papillon Tush while Monique helps manage the team. ”Being previously coached by Rachel Sanders, who will now run my dog, I feel more than prepared to support Tracy and this year’s team. Monique and Tracy have taught camps together, competed internationally several times and ran their dogs on a Cynosport team. Says Monique, ”We bring international event experience, IFCS team member experience and a combined 40+ years of agility experience to support this year’s amazing team. I really look forward to helping each team mate do their very best when they step to the line in Valencia. The IFCS World Agility Championships takes place in Spain in April 26-30, 2017. The event typically attracts more than 200 competitors from more than 15 different countries annually. To help support the fundraising for the team, please visit donate2dogsports.org. All proceeds are tax deductible and go toward helping the team cover international travel costs for themselves and their dogs. ← Help Fund the IFCS Team with AmazonSmile!